Ntare Guma Mbaho Mwine is a dual citizen of Uganda and America working in the mediums of photography, theatre, film and television. Ntare’s film directing credits include “Beware of Time,” which premiered at the Berlin Black International Cinema Festival where it won Best Film on matters relating to Marginalized People. His short film “Kuhani” won the main prize at the Internationale Kurzfilmtage Winterthur in Switzerland for Best Achievement in Directing. Ntare’s TV acting credits include a recurring role on the Steven Soderbergh series “The Knick,” HBO’s series “Treme,” “Heroes,” and “CSI” to name a few. Ntare’s theatre acting credits include leading roles at The Public Theater, The Steppenwolf Theatre, The Kennedy Center, The Lincoln Center and Center Theatre Group; Playwriting credits include “Biro,” which held its U.S premiere at The Public Theatre where it made the New York Times Critics Pick List. “Biro” also premiered in Uganda, London, Toronto, Los Angeles, Ethiopia, Kenya, South Africa, Seattle and Zimbabwe. 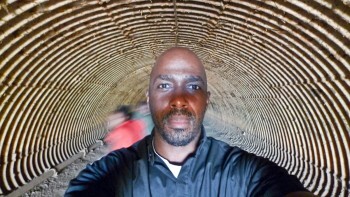 Ntare‘s photographic work has featured in Vanity Fair and exhibited at Mojo Gallery Dubai, Blue Sky Gallery, The United Nations, Rush Arts Gallery, the UCLA Fowler Museum, The Latino Art Museum, and has been featured on HBO’s “Six Feet Under.” Ntare received his MFA in Acting from New York University and completed studies at The Moscow Arts Theatre in Russia, The Royal National Theatre in London and The University of Virginia. Ntare is an Adjunct Professor at the University of Southern California (USC). He has also taught at Yale University and has taught theatre and film artists in more than a dozen countries in Africa.